Sometimes, you are in dire need to transferring files from your android or iPhone devices to your PC, but face difficulty due to the limitations imposed by iOS system. There are many apps available for this purpose but the problem is that they use the cloud system which means the file needed to be shared is first uploaded on an external server then you can download it on receiving device. This is an easy process, but it requires an internet connection. So what to do when there is no internet connection available around? If you want to share your files between different computers and mobile devices in the house without using an internet connection, here they present Share-it. Share-it is very simple to use app. It allows you to send files from/to your mobile phone and PCs without having to connect the internet. You don’t need a connection, Bluetooth or USB cables to transfer your data. It is content sharing app which works on multiplatform including android devices, iOS devices, windows phones and personal computers. This great file sharing app allows you to transfer any kind of files including all format photos, videos, audio files, documents and many more. 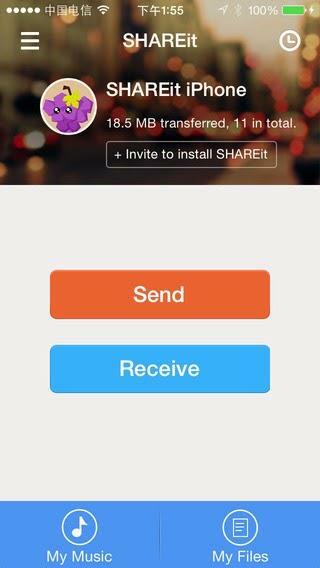 Shareit is free to use app and can be downloaded and installed from play store. Before moving on, you nee to make sure that Shareit is installed on all devices of choice so they are detected to send files. Drag the files you need to transfer by using the send button. Once you have selected the files to be sent, click the “Next” button. Now sending device is going to detect the nearby computer. On receiving device (computer), you need to press “receive button”. The receiver accepts the file and you are done with sharing files between mobile and pc. In case of sharing files between two PCs, you have to follow the same process. Although this process of sharing files between different devices can be done without an internet connection, but to connect two devices you require a Wi-Fi connection or Bluetooth network. Try and share you experience with your friends. This entry was posted in Application, shareit for pc and tagged Shareit app, shareit for pc. Bookmark the permalink.